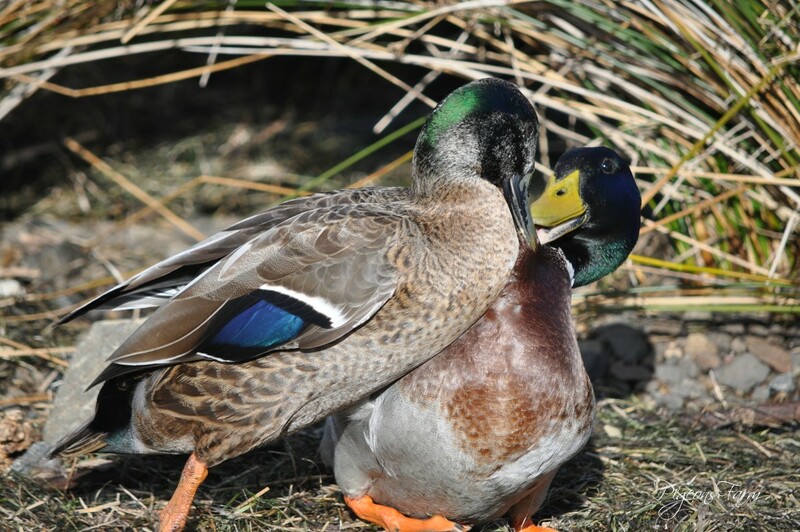 The drake on the left started fighting with the drake on the right when he attempted to muscle in on his duck. The fight lasted for around 5 minutes, before the drake on the right retreated, chased away by the one on the left, who then returned and snuggled up to his lady friend. How sweet! Love is in the air! Fav. Excellent... love their body language! @hermann @rhernan @joemuli @bkbinthecity @jacqbb @ideetje @ziggy77 @carolmw @gardenfolk @madeinnl @ulla @kwind @jernst1779 I truly appreciate everyone's comments and Favs. It's so lovely to have such a wonderful community of people supporting each other. Were you looking at my bird? hilarious! What a fun capture. I checked out your exif and it's 300mm so you were relatively close considering such action! @4rky he definitely was! @jyokota yes I was reasonably close. These drakes usually are very friendly, but not to each other on this occasion!